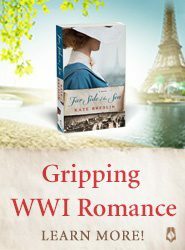 Readers of historical romance are thrilled that Julie Anne Long, after a successful stream of contemporary romance novels, has returned to writing HR. Lady Derring Takes A Lover, due out on February 26th, is the first in a new series, The Palace of Rogues. We’ve read and and loved it–our DIK review may be found here. AAR’s Dabney sat down to talk to Julie Anne about the book, Julie’s very stressful year, and what’s next for her as an author. Julie: It was indeed a year I won’t ever forget. I lost pretty much everything I own and gained a lifetime’s worth of perspective and gratitude—and I will carry the astounding outpouring of generosity, kindness and love in support in the wake of that disaster with me forever. I’m very much looking forward to the day I’m able to pay it forward. I am incredibly fortunate in so many ways—including the fact that I’d finished Lady Derring before all of that happened. 🙂 We worked on some stuff when I was hopping from hotel to hotel—page proofs, etc. But it was done and polished ahead of time. Dabney: The book is a DIK at AAR—three of us—myself, Alexandra, and Kristen—did a joint review and, to a woman, we adored it. (That’s two high grades from me this year—I also loved Malcolm and Isabel.) What made you decide to return to writing historical romance? Julie: I’m so touched and floored you all feel that way about the book—thank you! It’s very gratifying to hear it, particular because I fell in love with the premise and saw so much potential in it—and that’s why I decided to do another historical. I knew I could have a blast doing what I love the most—creating characters that fascinate me (and hopefully my readers) and building a vivid world for them to live in. I so hope my readers feel the same way you ladies do about it! Dabney: One of the very best things about this novel is the warm and rich portrayal of the female friendship between Delilah and Angelique. That part of the story seemed to have every bit as much heft as the love story between Delilah and Tristan. Was that intentional on your part? Julie: So lovely to hear that you experienced it that way! My friendships are incredibly important to me (many of them go all the way back to childhood), so it’s a true pleasure to be in on the ground floor, so to speak, of Delilah’s and Angelique’s. 🙂 You know, the way I see it, their friendship is integral to the main love story—I hope it adds depth and dimension and insight into to all the characters as we see them interacting with each other. For example, here we have two very different women—one a little too experienced, one more naive, both wounded, both witty and sharp and brave and terrified all at once—who are simultaneously set free and potentially ruined by the death of one man, the Earl of Derring. Being utterly frank with Angelique is Delilah’s first act of rebellion against doing the “expected thing”; it’s how she begins living her truth, and it’s this true self she presents to Captain Hardy. Delilah and Angelique give each other courage. Delilah admires Angelique’s panache intensely, while Angelique is protective of Delilah, sometimes to the point of condescension. She in fact warns Captain Hardy that she knows full well what’s sizzling between him and Delilah and that she hopes he knows how devastating that may be for Delilah. She knows Delilah better than Delilah realizes, but it’s vice versa, too. So their friendship twines through the romance. Like the relationships between brothers and sisters and fathers and sons and daughters in Pennyroyal Green (that are visited from different points of view throughout the books in the series), I see Angelique and Delilah’s friendship is one of the themes of the series and part of the foundation the series is built upon. Dabney: You must have done a lot of research on customs, trade, and dockside inns for this book. What were some of your favorite things you learned? Julie: I did learn some cool stuff as I researched. It’s interesting how often smugglers are portrayed as swashbuckling rogues and the like in fiction. During the Regency they actually caused a lot of misery, and were often violent and ruthless. Smuggling gangs sometimes terrorized entire towns into cooperating with them (bullying them into lending them horses or barns to hide things, for instance) and keeping mum about nefarious activities via threats of violence; other times they and the townspeople were in cahoots. Some of the things mentioned the book (when Tristan reflects upon burning the boats, for instance) were inspired by historical accounts. The ways contraband was smuggled were very creative. And I had fun reading about Regency period inns and the services they offered. As a military officer, Tristan was more likely to stay at the Stevens Hotel, which means he needed a very good excuse to stay at The Grand Palace on the Thames (his nearby ship). Dabney: I’d describe Tristan’s and Delilah’s love affair as a bit of a slow burn—I think they don’t kiss until slightly past the 50% mark of the book. I’m curious if the #MeToo movement and our industry’s focus on consent has changed how you chart and write love scenes in your books. Julie: Hmmm…I wonder if it feels that way because the earliest part of the book introduces characters and the premise of the series—much like The Perils of Pleasure did for Pennyroyal Green. So even as Tristan is peripherally aware of Delilah early on (he’s heard of her only as Derring’s wife, and views her as a source of suspicion, and possibly with a detached sort of pity), they don’t meet until he walks into The Grand Palace on the Thames. I felt that their connection catches fire and takes off pretty rapidly once they’re in each other’s presence continuously. But I always think the emotional wallop and payoff is much greater when tension and intimacy is built between our hero and heroine first. The love feels more earned and therefore more real and true (and maybe more torrid), if I do it just right, and I try hard to capture that arc of actually falling in love in pretty much all of my books, so the reader can feel it, too. I’m not certain anything in the current zeitgeist influenced the direction of their story, but it was gratifying to write these sort of characters against a backdrop of a movement striving to get men to truly see, hear and understand women clearly and with more empathy. Both Delilah and Tristan become very direct, “cut to the chase” sort of people for different reasons; they are mature adults and act like it (and Captain Hardy has become almost insufferably sure of himself, for good reason, and he’s often almost comically taciturn), but in each others’ presence they become utterly brand new, uncertain and raw as they begin navigating the uncharted (and turbulent) waters of love and passion. Dabney: Delilah, a woman of many talents, is extraordinarily kind. And, as Tristan says “It takes enormous courage to be kind in the face of so many reasons not to be.” Kindness isn’t a virtue we necessarily see trumpeted in romance. What made you choose that as such a significant component of Delilah’s character? Julie: I think I may have put my own perspective in Tristan’s mouth: I, too, see kindness as Delilah’s form of courage; it’s her guiding philosophy. I think maybe it’s the ultimate form of maturity, choosing to be kind and giving people the benefit of the doubt, which often means getting out of the way of your ego. Which is not the same as weakness or naivete; e.g., Delilah has a temper, and she’s capable of dryly recognizing when her kindness backfires (e.g., rescuing her maidservant Dot from unemployment, which saddles her with the hapless Dot for life, for better or for worse). 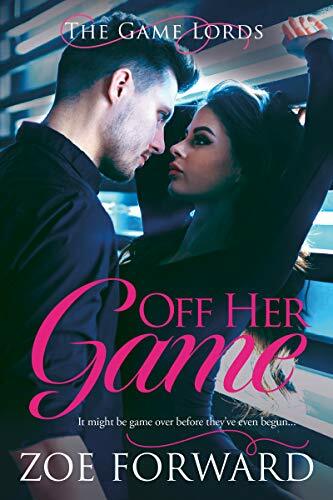 Delilah’s at her best when she has someone else who truly needs her and when she has people to care for, and she’s been deprived of all of that both in her loveless marriage, and before that, as a marriage bargaining chip and the key to parents’ survival. She’s also not as easygoing as people always assume she is, as Angelique found out the hard way in one of my favorite scenes. Allowing Delilah to blossom into her true self was one of the pleasures of writing her. Dabney: And if Delilah is, in part, defined by being kind, what would you say Angelique is significantly defined by? Julie: I think deep below the surface of Angelique’s reserve and jaded wit, confidence and aplomb is a reservoir of great, great vulnerability and a capacity to love, and maybe even she is isn’t fully cognizant of it. She would personally rather die than betray any weakness, because vulnerability has gotten her into a world of hurt before, and she’s absolutely determined she’ll never be hurt again. She has no interest in another affair and thinks she’s completely immune to that sort of attraction. Which is what I think this will make her love story all that more risky and juicy—the stakes are high for Angelique. Dabney: Is Angelique’s story next? Will it be published this year? Julie: Yes, and yes! I’m working on it now, and it’s called Angel In A Devil’s Arms. I love it completely. I love her character and I feel very protective of her, the way she feels of Delilah, and vice versa. Dabney: Are you currently taking a hiatus from writing contemporary romance? Dabney: Thanks for chatting with me! Julie: Thanks so much for the fabulous, interesting questions and the warmth and enthusiasm for Lady Derring Takes A Lover. I hope readers everywhere love it. Avon was so thrilled with our rave review, they’ve offered a copy of Lady Derring Takes A Lover for three lucky US readers! All you need to do to be entered in this drawing is make a comment below! Looking forward to reading your book and excited to know more Pennyroyal books may be on the horizon. I followed your FB posts about the fire and you always seemed so positive about such a devastating incident. I hope you find a new home soon. Thank you, Lee! I’m eager for everyone to read LADY DERRING TAKES A LOVER. 🙂 I’ve landed in a great spot for now, and I’m quite comfortable and grateful. And getting a lot of work done! Great interview and thanks so much. I want to move to Hellcat Canyon and time travel to Pennyroyal Green. Very excited for a new JAL historical series. Among other characteristics of her writing, they are often very funny too. Enjoyed the interview and looking forward to reading Julie Snne Long’s new book!! Thank you!!!! Looking forward to your new series. Love how you are able to shift your character’s point of view so smoothly. I didn’t know you were caught up in those fires! Glad that you’re safe and sound. I’m so excited to see the return to HR. Although I’d enjoyed the Hellcat series, I’m longing for more Pennyroyal-like stories. Looking forward to this book! Julie Anne has a way of making you feel what the characters feel. Brilliant writing! Congratulations on the great reviews – although I’m not surprised. Love your historicals and contemporaries. I hope the publication and positive response to the book are an encouragement to you and your family. You deserve that! Very excited that we have more historical romance. She’s my favorite author in this genre. Can’t wait to read it! I’m so glad you’re doing well after the devastating fires. Looking forward to the new series! Am very excited to read this new series. I love your historicals! So excited for pennyroyal today and the return to historical! Julie Anne Long really is one of the great writers of the romance genre. I’m really looking forward to this new series. I love Pennyroyal Green and the Hellcat Canyon books. One of my favorites is To Love a Thief. I wanted the little sister Alice to have a story! I’m so glad you made it out of the fire and wish only good things for the future. I love JAL! She’s one of my favorite authors. This sounds like such a wonderful book. Friendship, slow burn romance, and fun historical facts. What more can I ask for? Thank you for the giveaway! So looking forward to reading it! Cannot wait to read this! Long is such a favorite of mine. What a wonderful interview! I loved the Pennyroyal Green series, and can’t wait to read this one! I have never taken the time to read an entire interview. I really enjoyed that. Can’t wait to read your new book and future books. I adore historical romance. Can’t wait!! I’m so-o-o excited about this book. Pennyroyal Green Series is my all time favorite series so a new JAL series is wonderfully exciting. 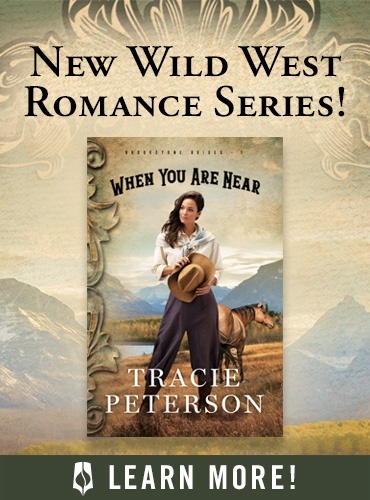 I am really excited to see you return to historical romance with what sounds like a great novel. Can’t wait to read her new book. She is such a talented Author. It must be so hard to loose all your possessions like that. I wish her all the best! So sorry for you losing your home in the fire. Your books are a joy. Thanks. I’m happy to see JAL has another historical coming out. Best wishes in rebuilding after the fire. I am so sorry to hear that your house and contents were destroyed in that terrible, terrible fire. Having said that, why, oh, why did you schedule the book to come out at the end of February–not TODAY? I cannot wait to read it! I adore your historicals especially, so am thrilled to have this to look forward to. Oh, well, I’ll have to console myself this whole month–it’s the shortest and one of the worst in the Northeast, but the expectation of your book will get me through it. Now, go back to work–and by work, I mean writing, not housework, cooking, etc. I love Long’s books and can’t wait to read this one! The Pennyroyal Green series is my favorite historical romance series. I reread it allllll the time. And I have been loving her contemporaries but I am so excited for her to delve back in HR!!! Thanks for this thoughtful interview! I didn’t know JAL lost her home in the Paradise fire (wow, so hard), or which direction she was going with writing next (this sounds great!). Looking forward to this new series, and hope JAL gets to continue rebuilding after a devastating year. I love JAL’s books. This one is high on my TBR list. Thanks for the interview and giveaway. I’m glad you and your family came out of the fire safe! Thanks for the chance to win. Can’t wait to read Lady Derringer! I can not wait until this book is in my hands!!! I just did a reread of the Pennyroyal Green series because I have been missing Julie’s hilarious historical writing! JAL is such a talented writer. I have all her historicals, most of them starred in my book. I didn’t realize that she lost nearly everything in the California fires, but she’s alive and still writing. You go girl! I always love your characters! I look forward to meeting these ones! So excited about this new series. I loved both the Hellcat Canyon & Pennyroyal Green series! So sorry that you were affected by the California fires. I can’t remember the rest so I’m annoying my husband this very important Sunday morning. I’m so sorry about the fire. We were up there soon after with volunteers and it was a nightmare. My family house in the Santa Cruz mountains burned down when I was a kid and my parents’ marriage ended because of it. It was awful, but we moved to Seattle and though I missed my Dad I am forever grateful that my Mom took us to the Northwest. I should of read the full post first before I started singing. Sending lots of love and good vibes to JAL and community. Love historical romances & am so excited to read this new book. Great interview, and another book I need to add to my TBR! This is a long time favorite author of mine. I really enjoyed reading the interview! I’m looking forward to reading this new series as Pennyroyal Green is one of my favorite series. The characters and stories are so interesting. I was so glad when I saw JAL was writing historical romance again and so sorry to read about the fire. Such a devastating,lufe changing event. Best wishs for a successful series. A new Long historical series, count me in!